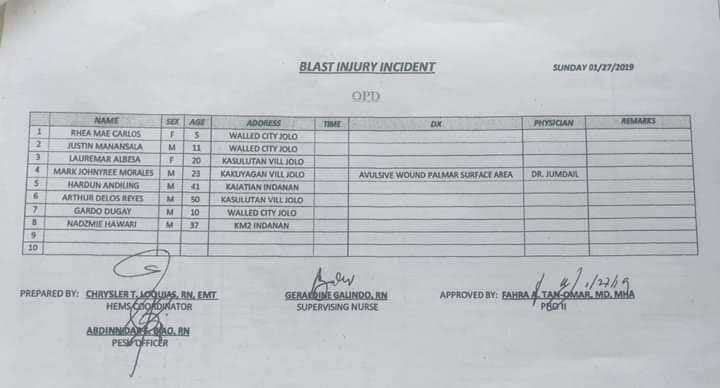 Many of the victims of the blast were attending morning mass at the Apostolic Vicariate of Jolo cathedral when the attack happened. 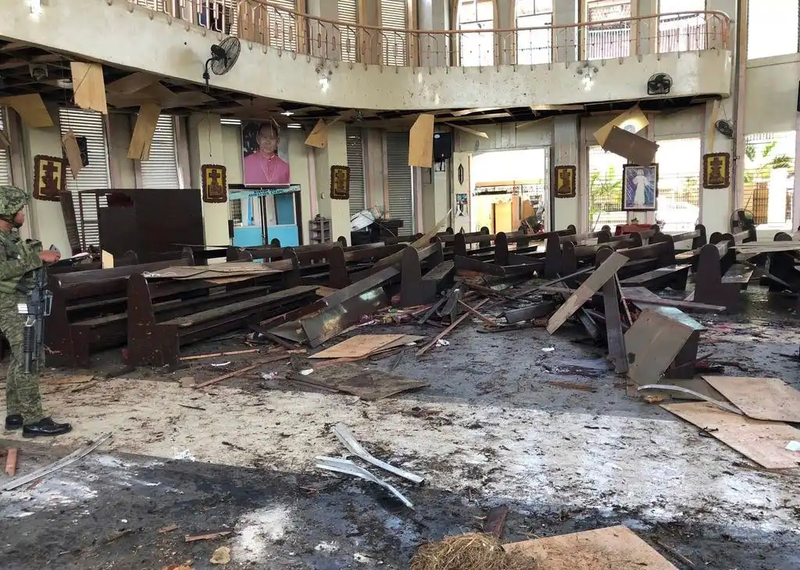 At least 21 people have been killed and dozens injured after two bombs were detonated in a cathedral in the Philippines today. 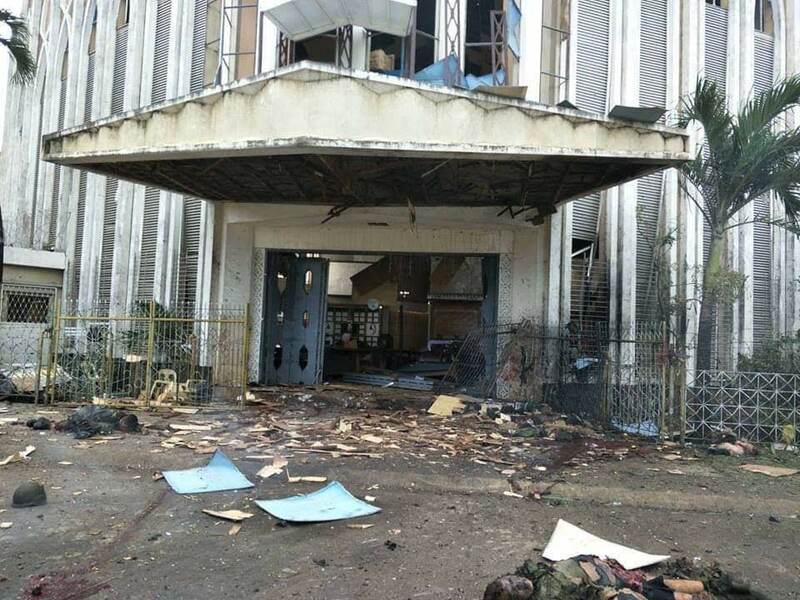 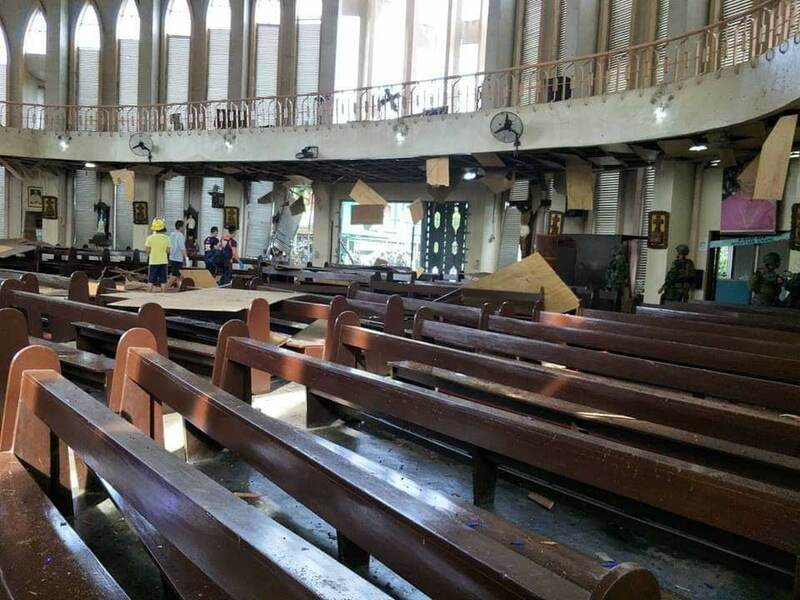 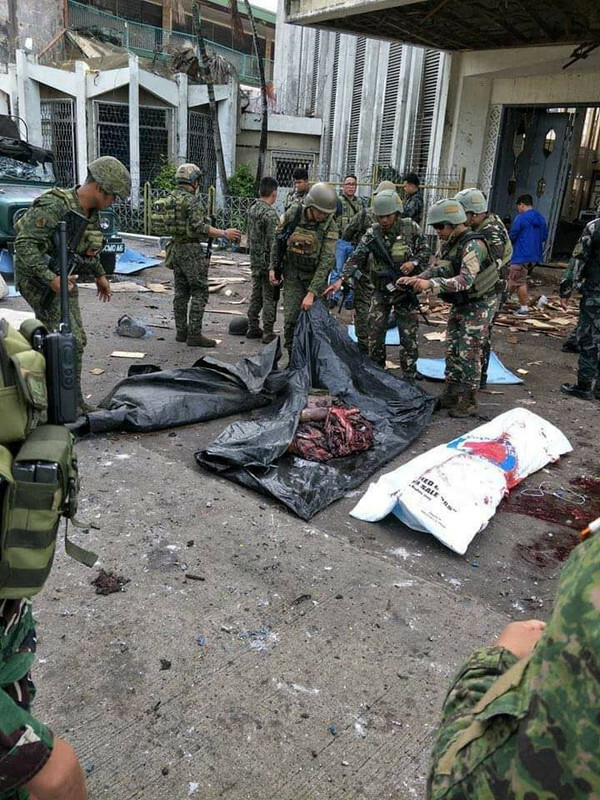 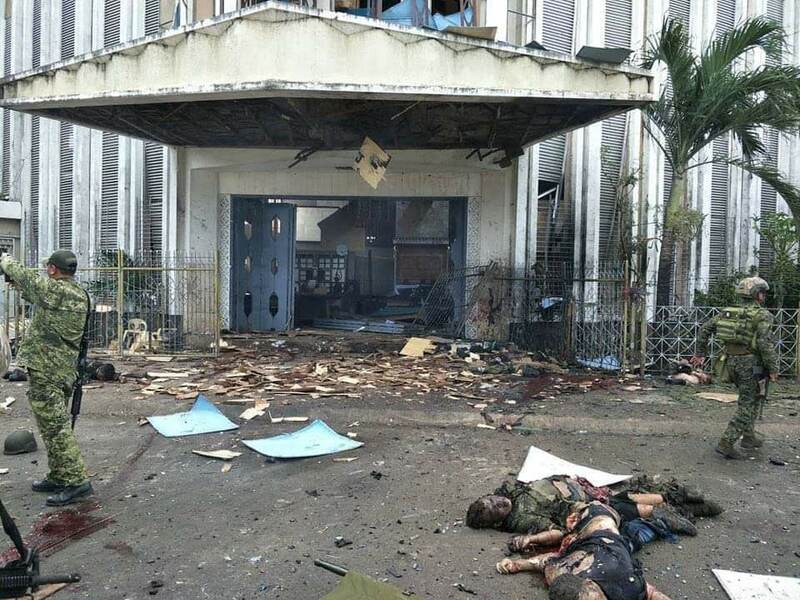 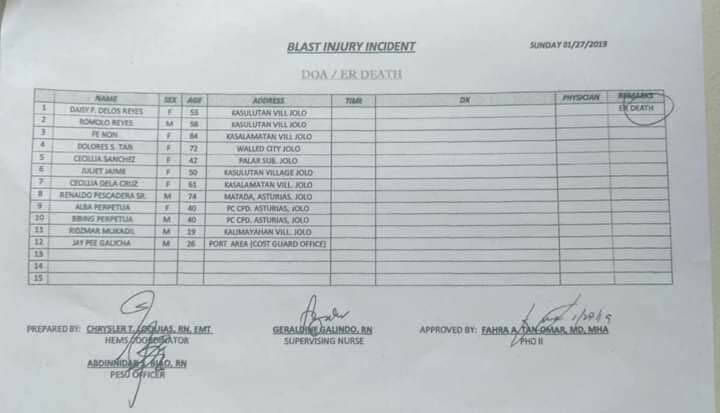 According to military personnel, the first bomb was detonated inside the Apostolic Vicariate of Jolo cathedral in the Sulu province on Mindanao Island in the country's south, just after 8.45am. 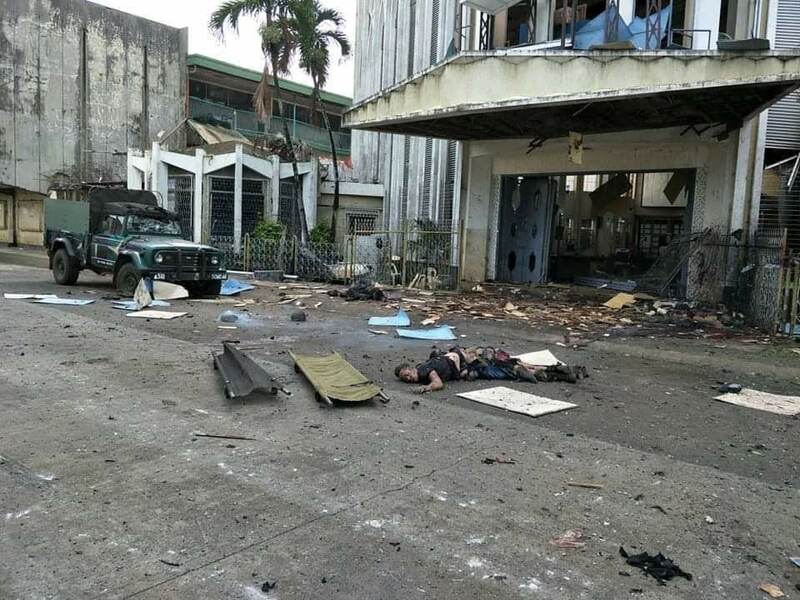 A second blast went off near the cathedral’s entrance as police and military personnel arrived at the scene. 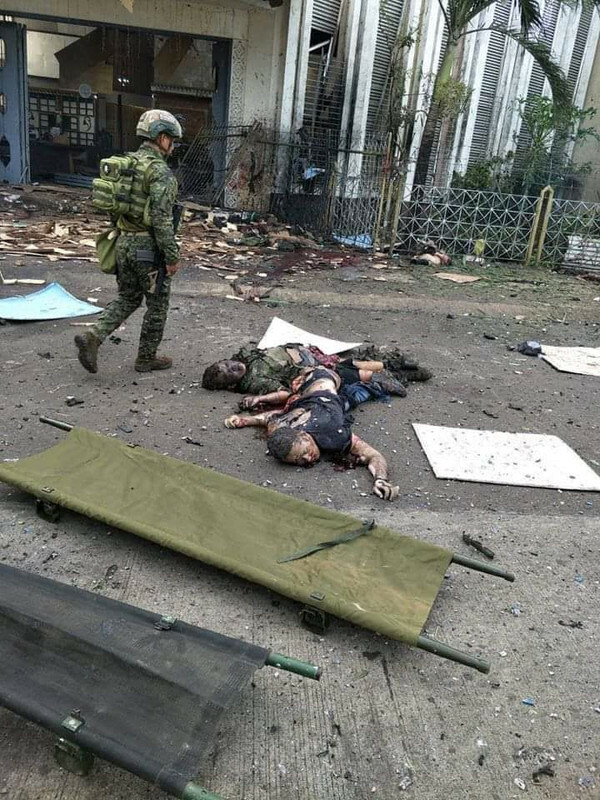 Seven military officers and 14 civilians have been reported killed with at least 71 others seriously injured. 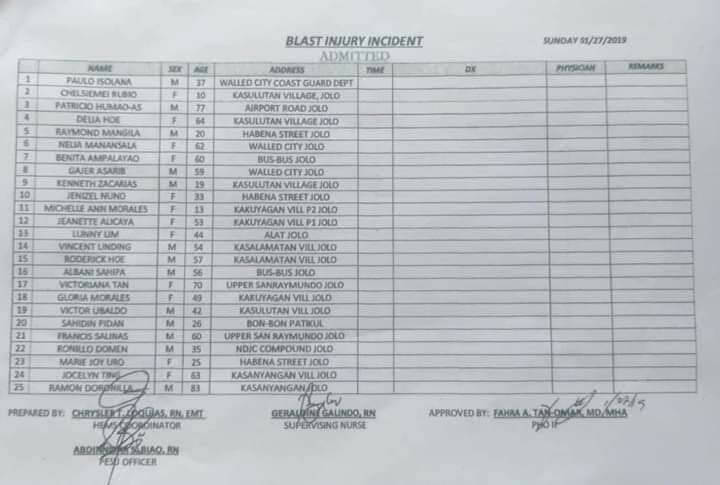 They include 56 other members of the public, 14 military personnel and one police officer. 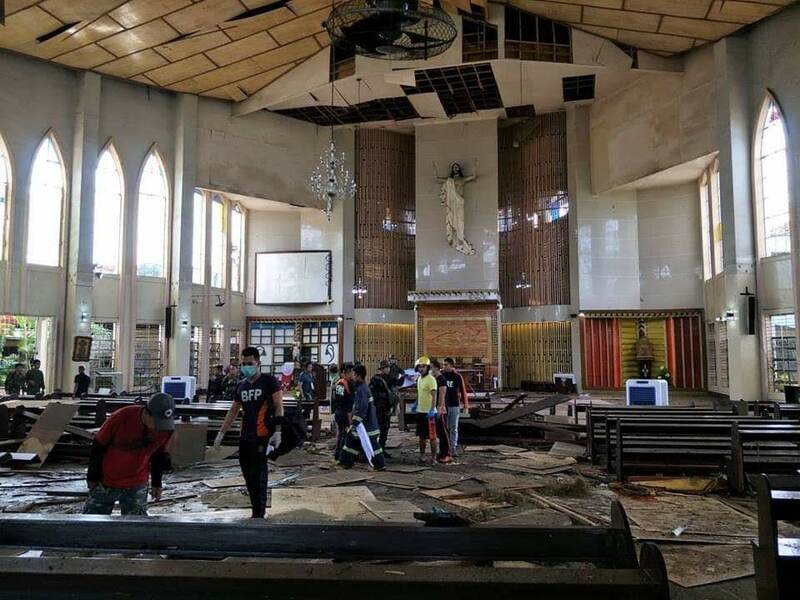 "We condemn this dastardly attack on the civilians who were peacefully attending church services at the Jolo Cathedral,” Brigadier General Edgard Arevalo said. 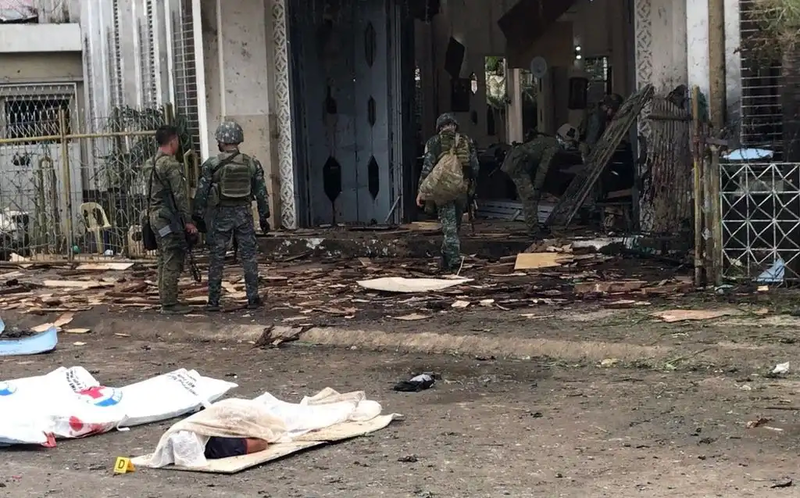 He confirmed that an improvised explosive device (IED) was the cause of the first explosion and the second one was specifically targeted at the military unit responding to the incident. 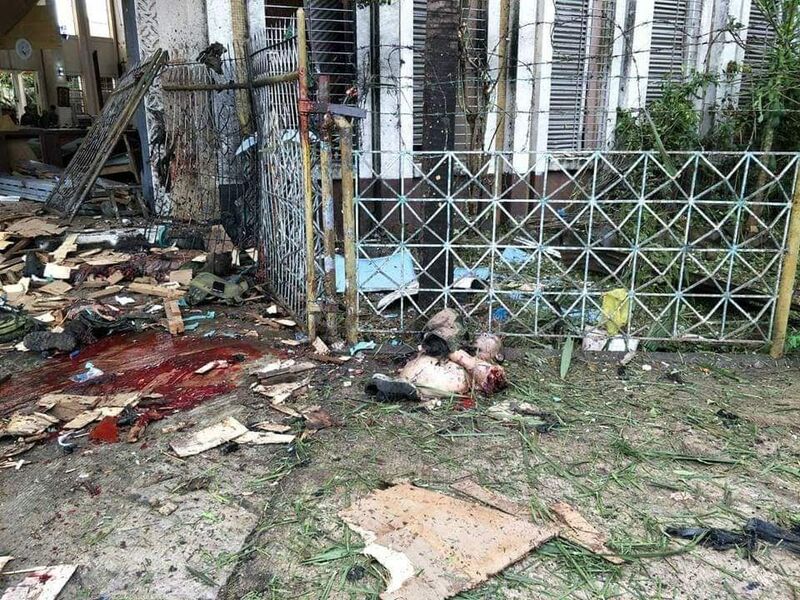 The nation's defence secretary also condemned the attack as his department begin their investigation into who is responsible. 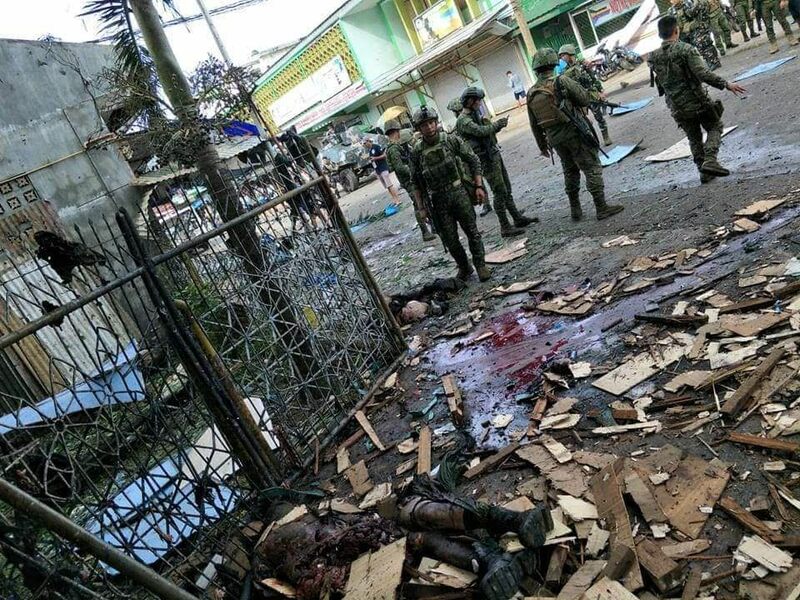 “I have directed our troops to heighten their alert level, secure all places of worships and public places at once, and initiate pro-active security measures to thwart hostile plans,” Defence Secretary Delfin Lorenzana said. 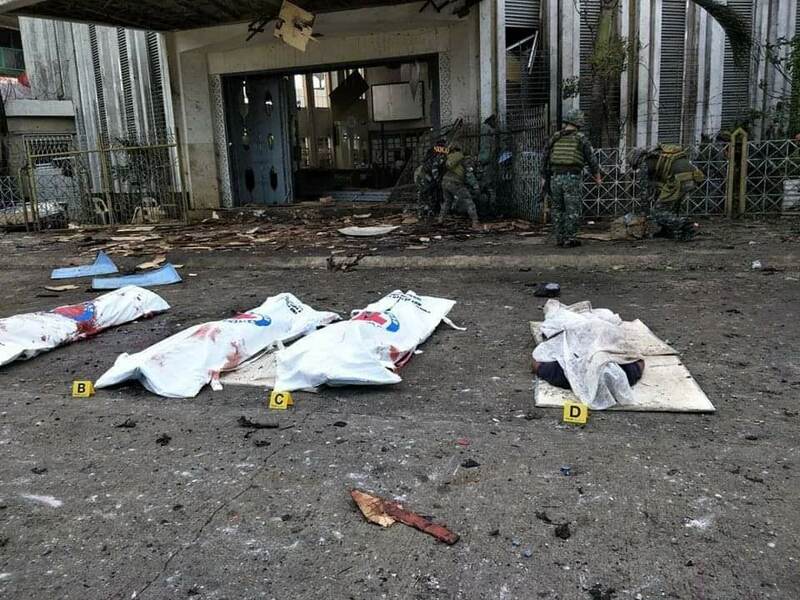 The region has seen unrest recently with the presence of Abu Sayyaf militants who are blacklisted by the Philippines and the US as a terrorist organisation because of ongoing bombings, abductions and beheadings. 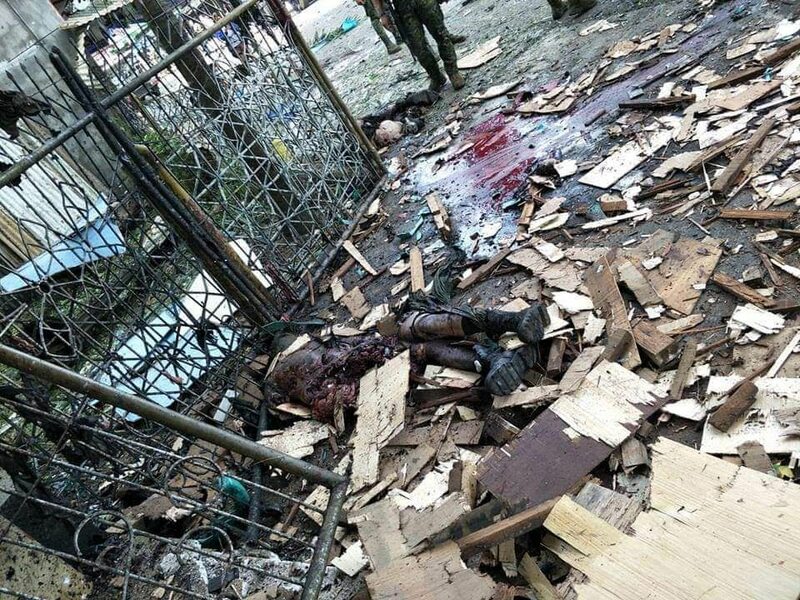 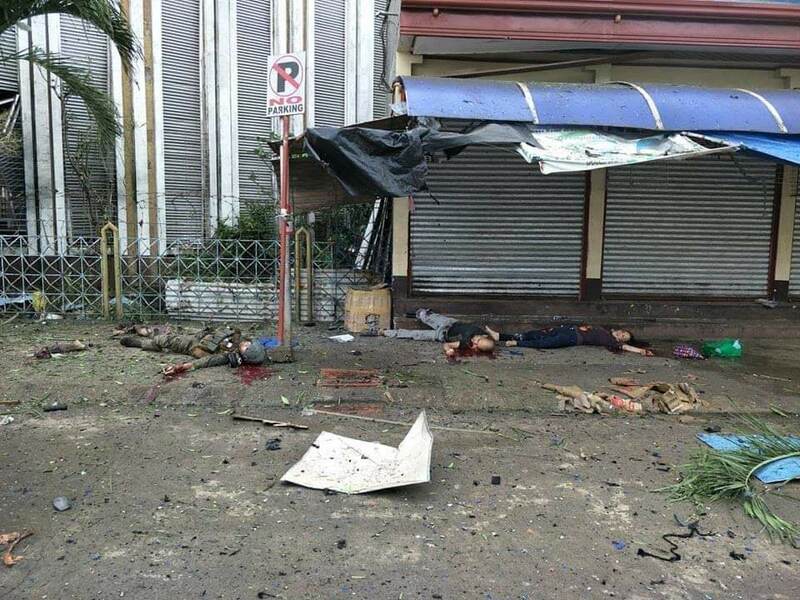 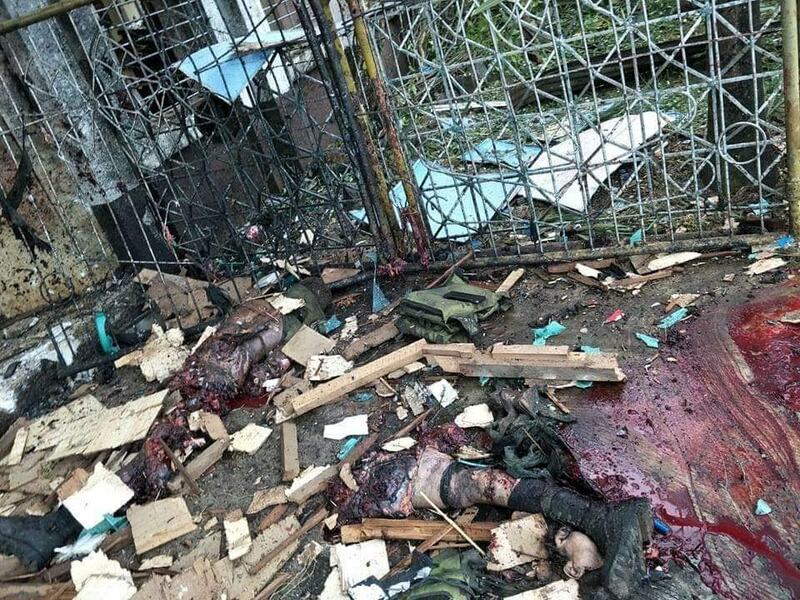 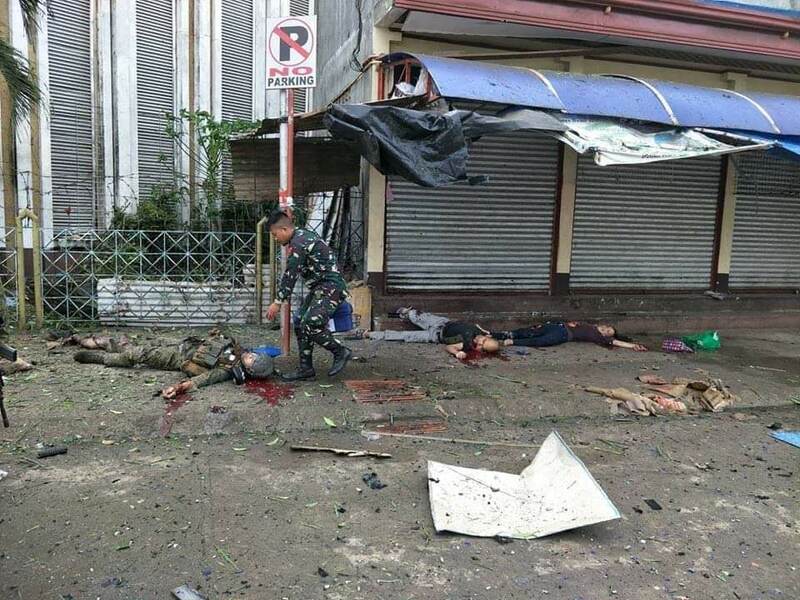 Today’s explosion comes two days after the Commission on Elections declared that the creation of a new Muslim autonomous entity in the southern region of Mindanao was ratified in a plebiscite to be held last week. 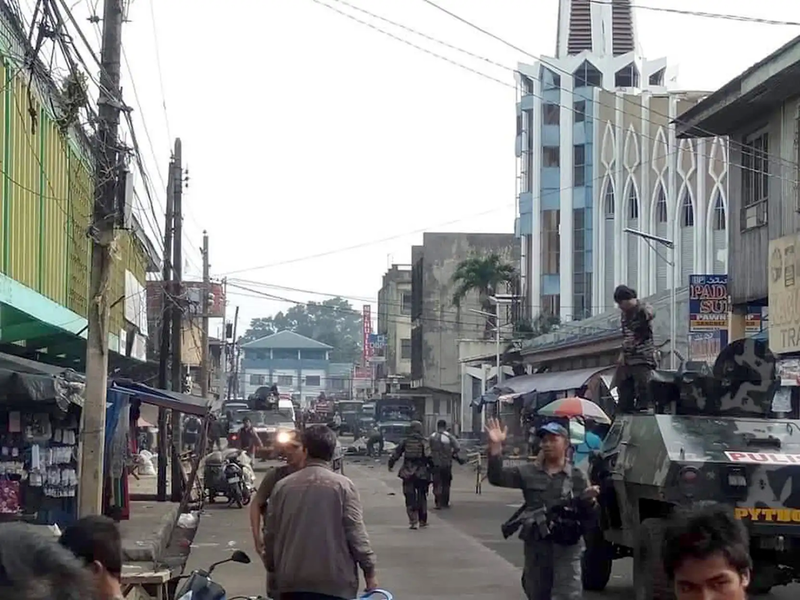 Its creation was a key development in a peace agreement signed between the Philippine government and prominent Muslim rebel group- the Moro Islamic Liberation Front, in 2014.